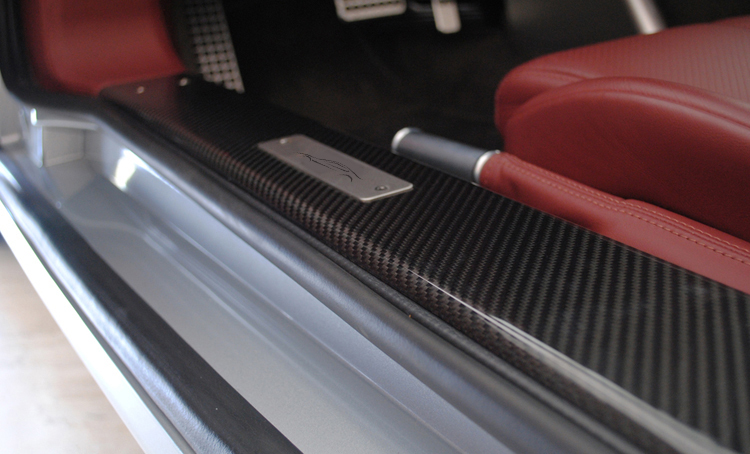 Originally designed to visually enhance the interior when the door is opened, the door sills are exceptionally light and offer a considerable weight saving from the metal OEM sills. Designed specifically with function in mind, they are made from several layers of pre-preg carbon fiber and several coats of clear-coat for extra protection against scuffing and scratching. Sold as a pair.